Understand the historical risks and returns of indexes. 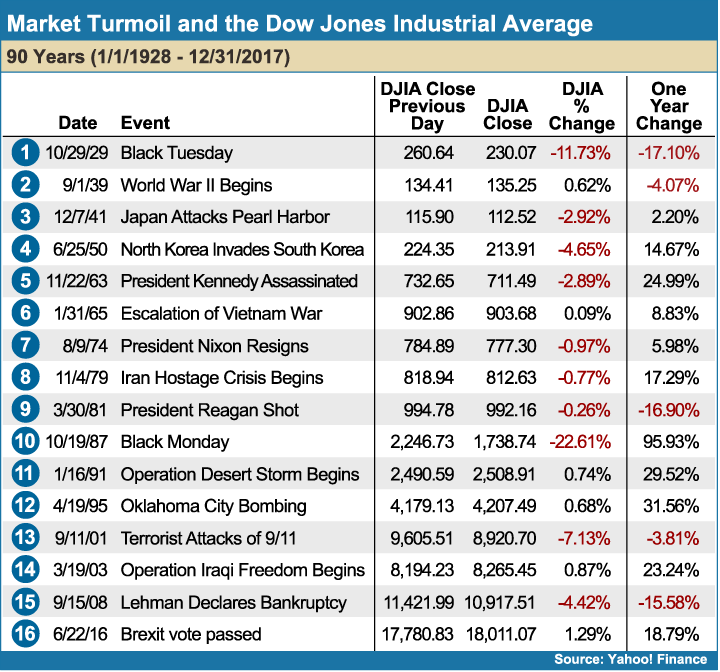 I think we can safely say that most investors don’t make decisions based on the long-term history of the stock market. They generally look at the most recent 1-, 3- and 5- and sometimes 10-year returns and assume that recent past performance will persist. Unfortunately, they don’t understand that short-term returns are based on random news and that investment decisions based on 50 years of data have a higher probability of enhancing wealth than decisions based on five years of data. 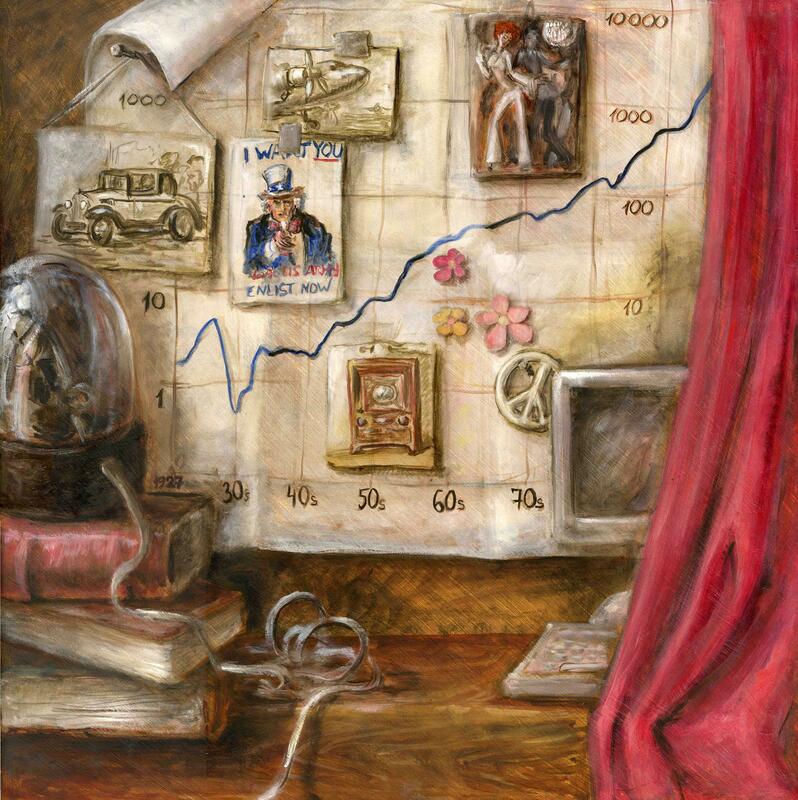 Historical stock market data provides investors with a powerful set of tools for constructing portfolios that can maximize expected returns at given levels of risk. By analyzing the historical returns for various asset classes, including stocks, bonds, private equity, real estate, and even precious metals, an investor can see the difference between compensated and uncompensated risk over time. Statisticians require data from periods of at least 30 years to minimize the sampling error of short-term data and to provide a more reliable estimate of expected returns and risk. Very few managers are able to provide 30 years of data to their clients. Historical data serves as a testament to the enduring nature of capitalism. By considering and understanding long-term data, investors can use the long-term risks and returns for various indexes to construct an asset allocation based on history and the science of investing, not on speculation. The first problem investors face is that the long-term history of stock market returns is rarely provided to them. Secondly, investors are not aware that long-term data has more value to them than short-term data. When presented with 90 years of data, many investors deem the data irrelevant, because they do not have 90 years to live. This perspective overlooks the value of a large sample size. 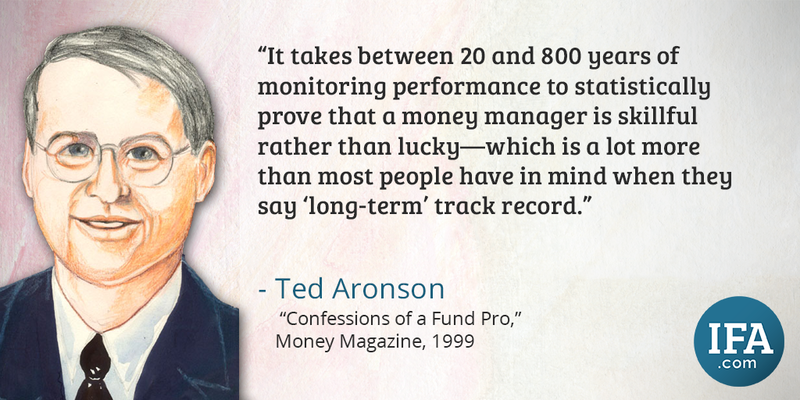 Investors who make decisions based on short-term data often regret it. When describing the risk and return of an index, significant errors are likely to occur when using a subset of the available data. For example, in the five year period from 2013 to 2017, the S&P 500 Index had an annualized return of 15.79%88. Based on that return; many investors would conclude that the S&P 500 was a “shoot out the lights” investment. However, for the 20-year period ending 2017, the annualized return was much lower at 7.20%. For the 50-year period ending 2017, it returned 10.12%, and for the 90-year period ending 2017, it produced a 9.87% return. An S&P 500 index fund is an important building block for inclusion in a diversified index portfolio. The index is made up of 500 of the most economically important large U.S. companies, and comprises nearly 80% of the total market capitalization of the U.S. equity market. When gathering information to identify the risk and return characteristics of the many asset class indexes that belong in a diversified portfolio, the more quality long-term data you have, the more accurate and probable are your expectations about future outcomes. The most complete historical database for stocks, bonds and mutual funds can be found at the Center for Research in Security Prices (CRSP) at the University of Chicago’s Booth School of Business. 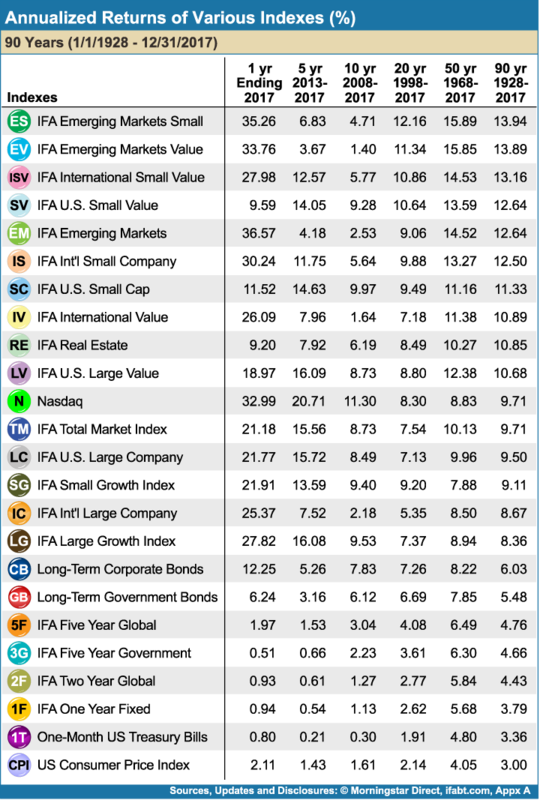 Figure 9-1 shows the annualized rates of return for 24 different indexes as constructed by Index Fund Advisors (IFA). This table provides an interesting review of various indexes over several different time periods. 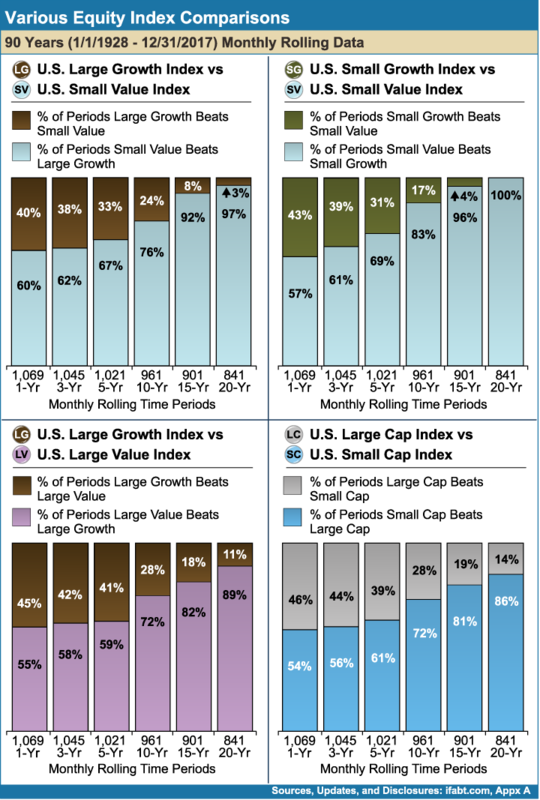 Note the pattern of higher annualized returns of small cap and value stocks over large cap and growth stocks over time. The time series construction in Figure 9-2 enables index fund investors to make investment decisions based on a statistically substantial and significant 90-year time frame. This time series construction simulates a fund’s composition prior to its inception and allows for estimates of past performance data. The style purity of index fund investing allows for this exercise, providing an abundance of data. This time series construction carefully stitches together 90 years of risk and return data for the indexes referenced in this book, with the black-dotted outlined section representing the simulated indexes and the solid black lines representing live mutual fund data from Dimensional Fund Advisors. While not a perfect representation, the data produced by the time series construction is a very useful tool. Statisticians who consider 30 years of risk and return data to be statistically significant would consider this collection of 90 years of data a feast! Capitalism has proven to be quite resilient. 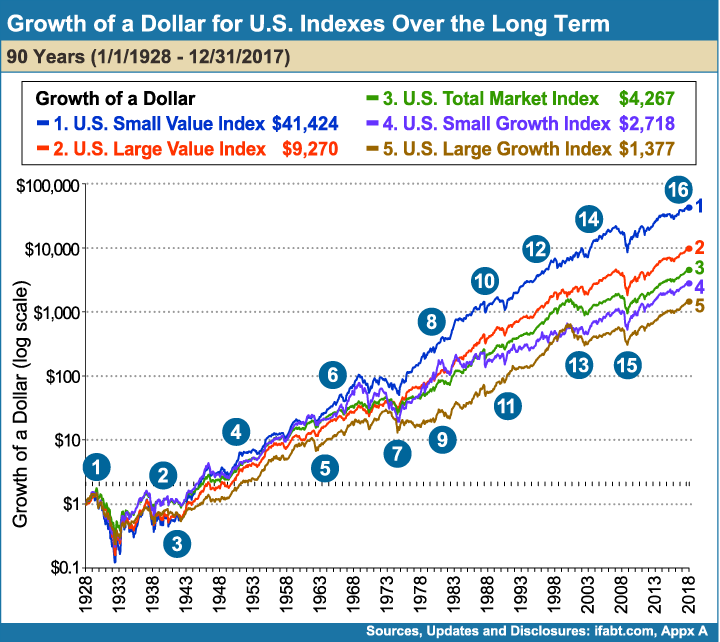 Figure 9-3 shows the growth of a dollar in various indexes over the course of 90 years, marked with 16 major news events listed in Figure 9-4. While the major events had large short-term impacts on market prices, they proved to be largely inconsequential in the long term as the market marched ahead. 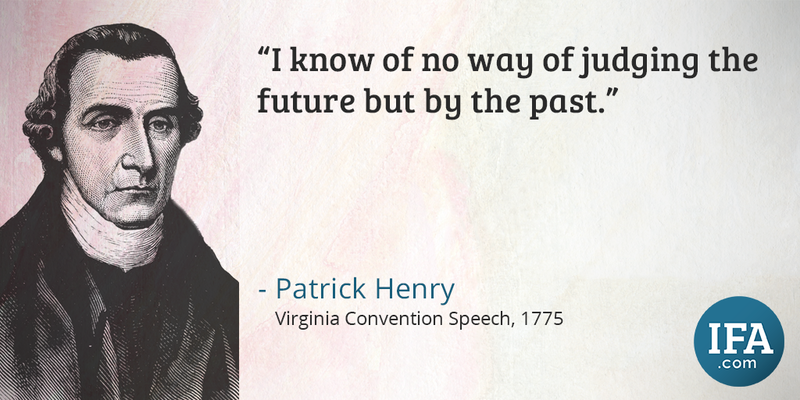 Despite several setbacks, capitalism has not only persevered, but thrived. 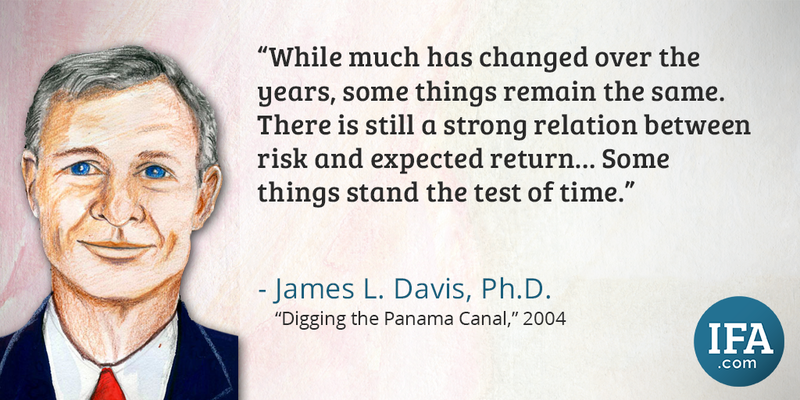 This long-term history of quality data provides a useful tool for investors to construct risk appropriate portfolios. Despite the historic advance of equities and the proven resilience of capitalism, many investors still get nervous during extended or sharp down periods such as the one we endured in 2008 and early 2009. When market-moving news appears, many investors may question if the fundamental relationship between risk and return is still valid. However, when a larger data set is considered, the outlook looks better for long-term investors. Rolling period analysis enables investors to examine large sets of performance data by dividing returns into monthly rolling periods, instead of traditional calendar year periods with a January beginning and a December ending. This method provides Simulated Passive Investor Experiences (SPIEs) which begin at the 1st of each month throughout the designated period. 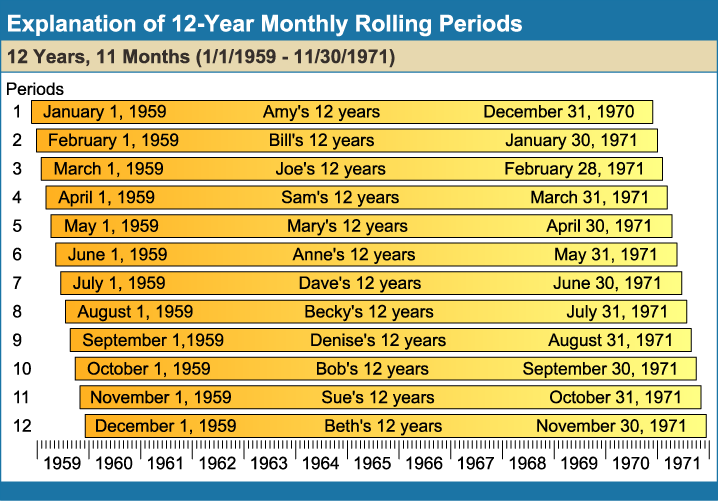 Figure 9-5 shows 12 consecutive 12-year rolling periods beginning on January 1, 1959. Each rolling period can be thought of as an outcome representing the experience of a unique investor who started and ended on the dates specified in the period. Hence, the name Simulated Passive Investor Experiences. The primary advantage of rolling periods is the large number of simulated investors who can be observed in a given time period. For example, in a 50-year period, there are 589 rolling 12-month periods as opposed to 50 consecutive, non-overlapping 12-month periods. One important caveat regarding the use of rolling periods is that a single extreme monthly return may be counted in many different rolling periods. Figure 9-6 charts the comparison of the performance of various equity indexes from 1928 through 2017 using this SPIE analysis. For example, the chart illustrates in the bottom left quadrant that over 1,069 1-year (12 months) monthly rolling periods, a simulated passive investor in a large growth index beat a simulated passive investor in a large value index 45% of the time, causing investors to think it might be a close call between large growth and large value. Compounded by the financial media touting the benefits of large growth companies, investors tend to believe that large growth may be a better investment. But in 841 20-year monthly rolling periods, the large value index beat the large growth index 89% of the time. Over short periods, volatility and price swings confuse investors as to which indexes are better long-term investments, but the picture becomes clearer when longer periods are considered. 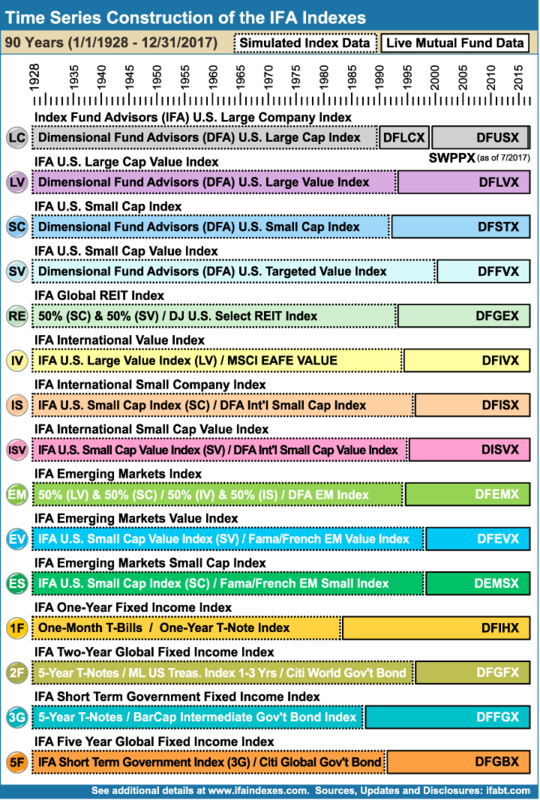 Figure 9-7 tracks large, small, value, blend, and growth indexes from around the world. For U.S. markets, more than 90 years of data are shown. For non-U.S. developed markets, 43 years of data is available, and there are 29 years of data for emerging markets. 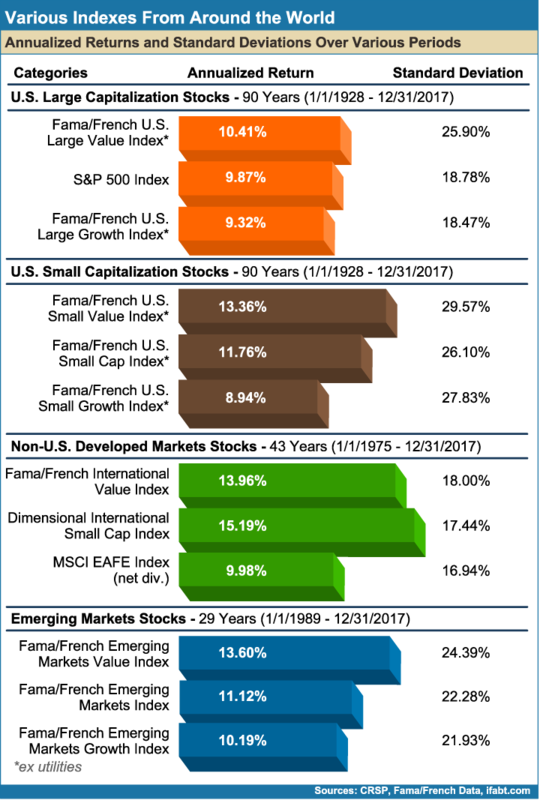 In each case, it is worthwhile to note the lackluster annualized returns of both large and growth indexes, relative to the strong annualized returns delivered by all of the indexes labeled small or value. While I began this step with identifying the problem of investors focusing on short-term returns, they still should regularly review and benchmark the performance of their portfolio with an understanding of the contribution of the components to the total portfolio return. These reviews should be geared only towards understanding what occurred and should refrain from turning into a “market outlook” or a “portfolio recommendation.” As we learned in Step 4, there is no “going up” or “going down” with financial markets. There is only “gone up” or “gone down.” With rare exceptions, a change in a well thought-out asset allocation should only be in response to changes in the investor’s circumstances that affect his or her risk capacity. This will be discussed in greater detail in Step 10. 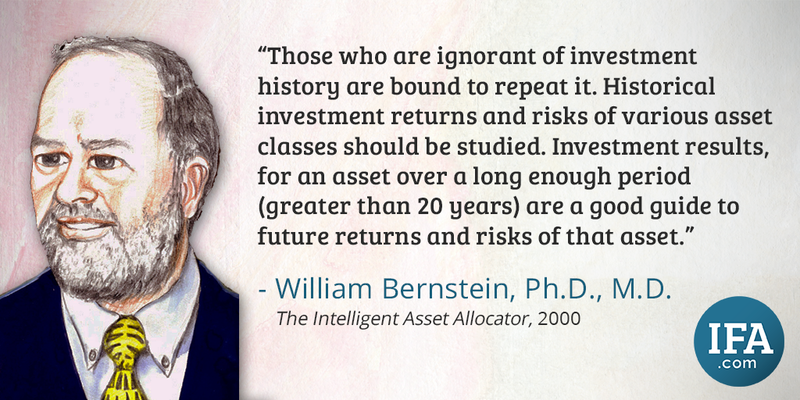 Although all disclosure statements from investment advisory firms are required to state that “past performance does not guarantee future results,” studying the very long-term history better characterizes both the risks and returns of asset classes, empowering investors to make better choices. Market history demonstrates the enduring nature of capitalism and how a long-term investor can benefit from an investment in global capitalism. Long-term historical data enables investors to build a portfolio that matches their individual risk capacity, while also equipping them with the knowledge they need to stay the course.For these important reasons, investors should rely on large sets of historical data when building an investment portfolio.